Recent polls indicate that Angela Merkel’s popularity dropped over her handling of the refugee crisis. Although the Chancellor of Germany was widely praised for her compassion in the ongoing human catastrophe, it soon became apparent that her country began to struggle with the increasing number of arrivals. So we are led to question: are we, indeed, witnessing the end of Angela’s irony? Throughout the past month, the American media continued to tie Angela Merkel and her migrant policies to the escalating refugee crisis. Coverage of the events became increasingly more critical in respect to the German Chancellor and her image in Europe. German media was heavily scrutinized in opinion commentary, with claims that Angela Merkel became Mother Teresa or St. Joan of the Refugees to the editors of Der Spiegel or Frankfurter Allgemeine Zeitung. American sources also stressed that Merkel’s initiative in the crisis not only exposed her to pressure from political allies, but also put her on a collision course with her own party. 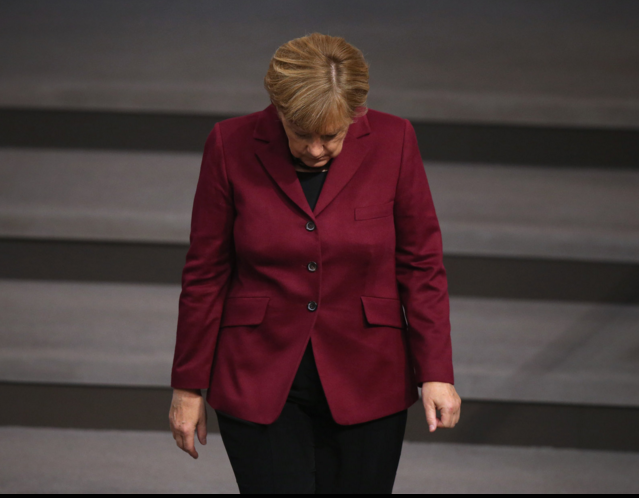 But in the more recent weeks, the narrative of the German Chancellor turning from “Heartless Merkel” to “Mother Merkel” appeared to have been cut short by the supposed end of Angela’s irony. Estonian media devoted far less attention to internal divisions within the German ruling coalition, as sources were more concerned with Merkel’s recent visit to Turkey only a few weeks prior to the country’s elections. Although the press questioned the sincerity and credibility of the German Chancellor’s negotiations with Turkey (as Estonian media generally remained skeptical about European policy on the refugee and migration issues), these efforts were seen as a viable step forward in finding solution to the refugee crisis. In the case of Lithuanian media, there was a noticeable tendency of emphasizing Merkel’s fading popularity due to the current course of action in the refugee crisis. 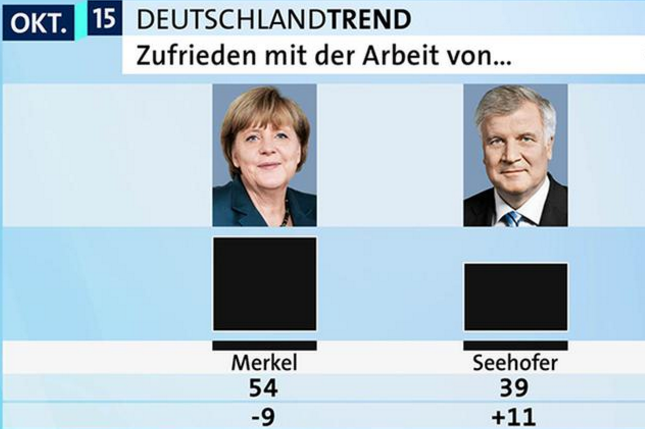 Media outlet 15min.lt published several articles employing excessively emotional language, as in describing the situation as being “dramatic” when “two-thirds of the German population did not believe her promises” and when colleagues from her own coalition criticized her for “being detached from reality”. The rest of Lithuanian media remained relatively neutral in portraying Merkel’s fall in political rankings while suggesting that, despite the growing trend of criticism, she will stay the course. When asked about the Nobel Peace Prize, the European Commission chief Jean-Claude Juncker responded bluntly: “In any case, she has deserved it more than Barack Obama”. This time the Russian media was exceptionally satirical of Merkel’s leadership in times of global crises. 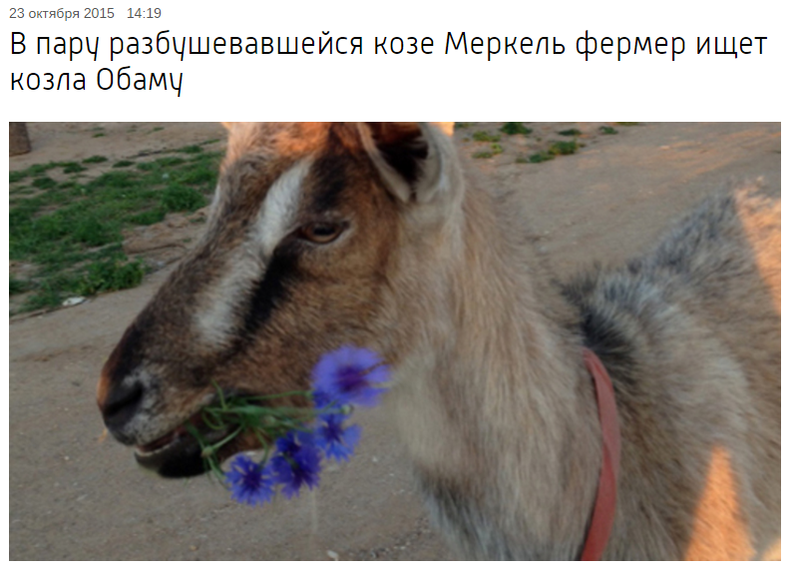 On October 23 vesti.ru published a video segment on a disobediently behaving farm goat named Merkel. Russian media outlets also did not miss the chance to speculate on German public opinion regarding the migration crisis, with claims that Germans were becoming more and more afraid of the incoming refugees.